Your hair is made up of a particular protein called keratin. It is the same protein that forms other parts of the body like hooves and beaks in animals as well as your nails. In general, hair is dead, because if forms from a complex accumulation of unwanted materials in the body. Hair damage is one of the most critical problems that many people face. Although it is not easy to remove one’s hair from the scalp unless by using devices such as shavers and a nose hair trimmer, it is easy to get the hair damaged. 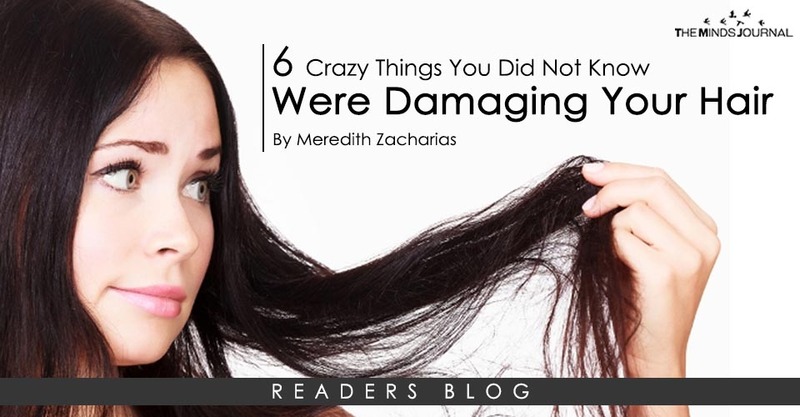 Interestingly, hair damage can be caused by some of the craziest things as follows. If you are fond of washing your hair in water often, then you need to rethink using this practice. When hair gets in contact with water, it usually expands by about 30%. Suddenly, the hair shrinks back to its size when it gets dry. The sudden expansion and shrinkage of the hair usually expose it to damage. Some of the strands of hair typically break because of the effect of water on them. Therefore, the more you wash your hair, the higher the number of your hair strands that break. Hair accessories are the small devices that you use to keep your hair in shape. For example, if you have braids, you may use rubber bands to keep them in the desired shape. At times you may use special pins to keep your hair in shape during the day. Sadly, many people do not realize that these accessories do damage the hair. If you use them for a long time, you may end up experiencing hair breakages. The devices usually tag on the hair when you are removing them, thus leading to breakages. The way you sleep at night can have an enormous impact on the state of your hair. Commonly, some pillows have been known to cause more damage to hair than others. for example, some of the thick pillows that many people like using during the cold season usually cause much damage to the hair. Thus, when you sleep in such a way that the pillow has contact with much of your hair, then the hair may get split over time. It is true that some hairstyles put more stress to your strands than others. for example, if you weave your hair into beautiful patterns or a ponytail, you subject it to a lot of pressure than when your simple brush it. When you keep your hair in styles that usually involve a lot of twisting, you increase the chances of the hair splitting or breaking. Thus, if you are fond of using these and many other related hairstyles, then you are damaging it without knowing. Although your hair is made of the same material that forms beaks, hooves, and nails, it does not mean that the hair is as tough as these things. In fact, even nails have been known to be very delicate. In the case of the hair, it is evident that when you twist it repeatedly, you end up weakening it. Constant twisting of the hair makes the strands prone to splitting and breaking. Thus, for you to keep your hair in decent shape always, you must stop this bad practice. The way you dry your hair after washing it may lead to breakages and splitting. Normally, wet hair is very susceptible to pressure. While toweling, you usually apply some pressure to your hair. This practice may cause the strands to appear fluffy. Thus, it is advisable to avoid rubbing your hair using your towel to keep it from damage.